C. S. Lewis wrote an excellent book on literary criticism, An Experiment in Criticism, that is applicable to how one reads scripture. Lewis argues that a critic should not take preconceived opinions into the reading of a book, but remain open to receive what the writer brings. Our culture too quickly labels a book as good or bad and that judgment is often based on some arbitrary taste. Lewis argues that a book would be better judged by what kind of response it elicits from the reader. Does the reader cherish the book and want to read it over and over, reflecting on its meaning, prose and insights? An open stance towards the reading of scripture is even more important. We need to allow our mind to hear the text. We cannot simply make our own quick evaluation of it nor rely on the comments of a biblical commentary. We need to read Luke as Luke and distinguish it from the perspective of Matthew, Mark and John. We need to keep our own evaluation process out of the reading and allow the text to speak to us, on its own terms. In other words, let the text shape and critique me and not the other way around. This can be challenging since so much of my reading of scripture has been shaped by what others may have taught or preached. I bring my biases and cultural norms that are hard to place aside so that the text can speak. I struggle to be quiet and receptive to what God may say through the Word. Yet as I open myself, trusting the Holy Spirit to work through the text, I discover the life giving Word. 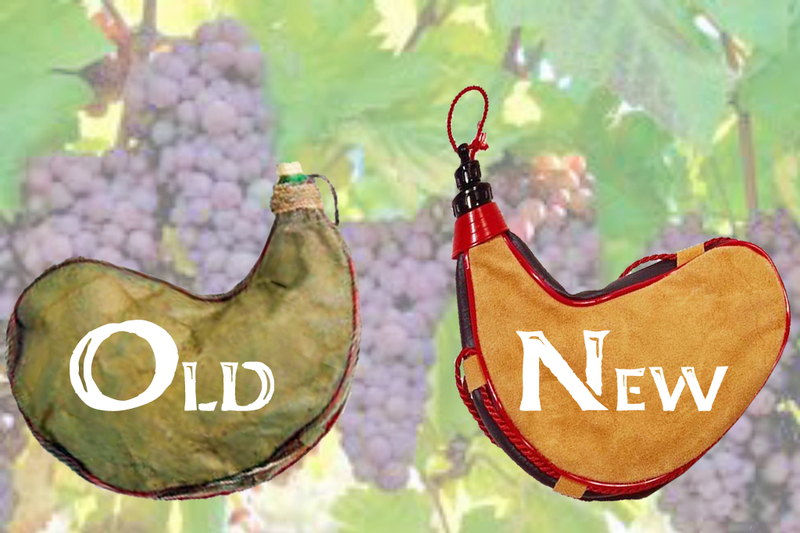 It sort of like Jesus’ teaching that one put new wine into new wineskins, so that as the wine ferments and expands, the wineskin has the flexibility to expand and adapt (Mark 2:22). Old wineskins lack the flexibility to expand and instead burst. My openness to God’s Spirit allows the wine of the Spirit to expand and shape my wineskin of thought and action. I want to be a new wineskin, receptive to the transforming power of God’s Word. And I pray that my congregation and national church would be new wineskins as well. How do you stay open and receptive to God’s Word? Lord Jesus, fill me again with your new wine. This entry was posted in Bible, Holy Spirit, Jesus, theology, Uncategorized and tagged C. S. Lewis, Mark 2, wineskins on January 9, 2012 by Pastor John Keller.